Discussion in 'Towns / Kingdoms' started by LadyVictorious, March 3, 2015. This is the second version of Anavasi, after the first was started on October 16th, 2013 and the main world reset on December 26th 2014. This time, I'm aiming to have a smaller town, with room for more projects to bridge the towns in the kingdom together, while also satisfying my desire to build and challenge myself. Anavasi is situated in the tightly-knit kingdom of Amber, and is located to the East of the server Capital. 1) All server rules apply here. 2) The farms created in the town are for the kingdom, and those who do not replant or fix their trampling of crops, will be contacted. If it's a constant issue then access may become limited to trusted people. 3) Don't grief or take anything that isn't on your plot(this is already a server rule, but I will re-iterate it). 1) Inactivity in this town is frowned upon. If you are planning on being absent for over 30 days, please /mail Stephfork or tran052699 to notify them of your absence and when you may return. A sign placed on your plot is also acceptable. 2) If a resident is inactive over 30 days without warning, you may be contacted by Stephfork or tran052699 with a /mail. You have 15 days to reply to that message. If you don't reply by then, your items and build may be moved to town storage until your return. 3) Please keep informed of the server policies towards inactive residents! Plot pricing will vary depending on the area. A plot in a nicer area may cost more than another plot in some place less desirable, but it is expected that the first plot will be free and any additional plots will cost anywhere from 400-600 per plot. Dreggmar, KILL3RTACO, Sephronia and 2 others like this. Reserved for town pictures and pretty things, along with chocolate. Reserved for clown chocolate salad parties. 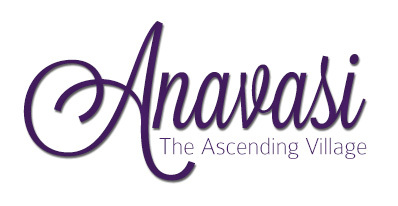 Just want to say how glad I am to be a member of Anavasi. As of late I have had quite a bit more time on my hands and you will see me on often. If there is anything I can do to help you be sure to ask. I will be actively recruiting more to help us expand. Maybe we can start a thread here to discuss town builds and plans so while some of us are offline we can still have continued work on projects. Just a thought. Anyway...I am here if needed. As for the picture post above...if you want I can try to get some screen caps of some of the current buildings up here if you want. Don't want to over step but can try if so. Let me know. We do use TeamSpeak, although the only constant active members on it seem to be Tran & I. If you want to take some screenshots for this thread go for it, just message links to the pictures via a forum conversation with me. I was gonna get some high quality renders up eventually but I wanted to complete some more stuff beforehand. But if you're feeling eager feel free to get screenshots of the valley area, the farms and maybe the town spawn area. Hehe I guess the convo's will have a small audience. Is there a specific channel for the town? Password protected? Just curious. I may not use a lot but will set it up. Note to assistants: Please check stats of players (mcbans, and imdeity player stats) before accepting. Stephfork and Sephronia like this. Chub_Master101, tran052699, Stephfork and 1 other person like this. So I've made two conclusions from these pictures, my town looks pretty in your texture pack/shaders and two, my town needs more torches, clearly. Apologies to bump this. However, I've left the town as of a few weeks ago. Good Luck with Anavasi, Stephfork & Tran! - Is there talk of a server reset? or things normal at the moment. - Are project lists for the town updated at the spawn? or is there a better place for that? - Anyone working on anything specific? There is no talking about the map reset, we can expect that this map will survive quite long. I have no knowledge about Anavasi town projects, but the most recent project i took part in is Minibirde's harbor village near HoneyValle, with Minibirde, Stephfork, Blackesy, CiljaW and LogunAJ. For the mining world, you can check the map of the mining world - be aware that there is no Mesa or Ice Spikes biome so red sand or packed ice blocks are not available.